Megarib multi v rib belts are molded endless with thermoset PU and high strength stable polyester (Kevlar on request). 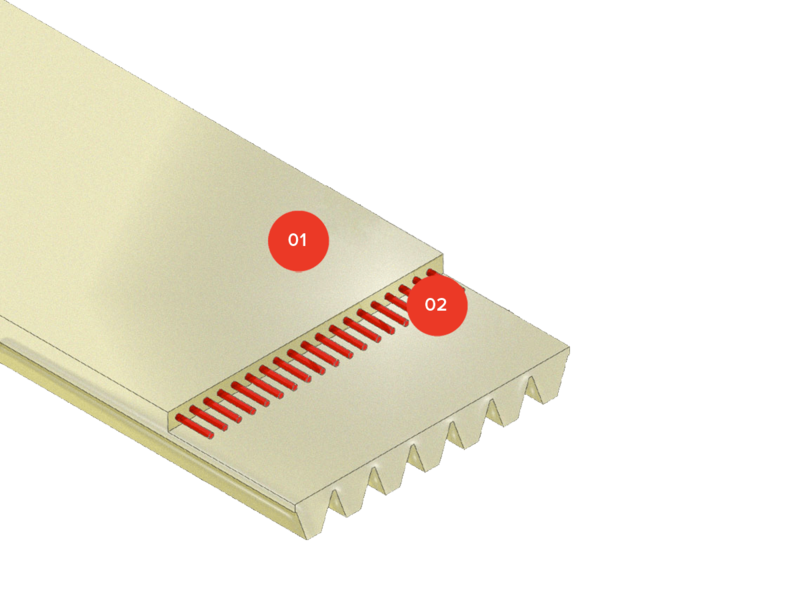 Designed for high speed, high ratio drives, Megarib belts are manufactured in H,J and PTB2, which is a 2mm pitch belt with shortened or truncated ribs for maximum structural flex. 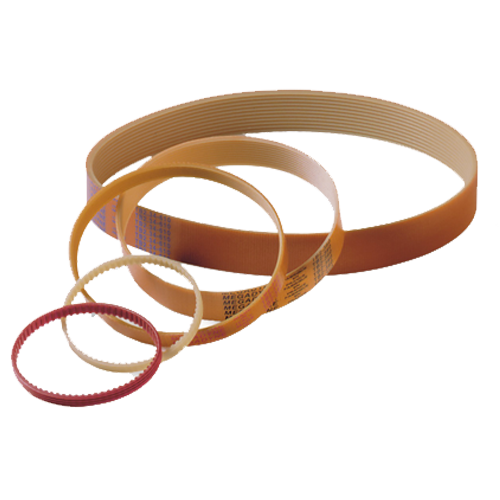 Megarib belts are molded to exact dimensions and are clean running in application making them the perfect choice for power transmission applications in household and commercial applications and food slicing machines. In addition be being clean running, MEGARIB belts are low noise, self tracking, capable of running at high speeds and perfect for compact drive designs. The belt body is made of thermoset polyurethane with 85 ± 5 ShA hardness. The back side cushion protects the tensile member and permits the use of back side idlers. The tensile member consists of high-tension polyester cords, which combine the high flexibility of flat belts with the power transmission capability of V-belts while ensuring length stability. Are you interested in MEGARIB?